Actionable content marketing is critical to your digital marketing efforts, and actionable content is what converts your audience from being consumers to customers. That's your end goal. Your content should always have a goal, and the way you write should aim to meet those goals. Make sure your headline is able to grab the attention of your audience. Whether you write your headline first, or have to tweak it later, your headline is your first critical step. Get your headline perfect. Often a headline with numbers works wonders (like this post's headline). Headlines with questions are great as well. Provide a clear guide post – and an interesting one to what you will be talking about. Keep jargon to a minimum, keep your language and turn of phrase simple. Aim to write for an audience that prefers simple words, short sentences and short paragraphs. With today's global audience write so that even readers with limited English proficiency can understand. The reason your audience will read your content is because they are looking for answers. Using questions in your content gives you a framework for providing those answers. 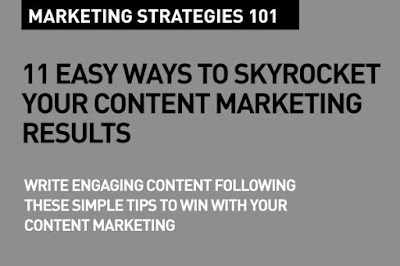 Set up your content copy with leading questions like "Want to win the social media game with Instagram?" to talk about the power of Instagram as a visual platform that's powerful for social media marketers. 4. Get to the point quickly and efficiently. When some one arrives on your page, you have to quickly gran and hold their attention. Start with the news worthy information, delivering on the promise of your headline quickly. Get to the important details quickly. Provide the most important information up front in your first couple of paragraphs when possible. Use the power of visuals – graphics, charts, photos, infographics to add value to your content. Research shows that we process visuals significantly faster than text. Emphasize content with the power of visuals – particularly when writing content about products. Winning content always provides value. Don't just write about the How To's. 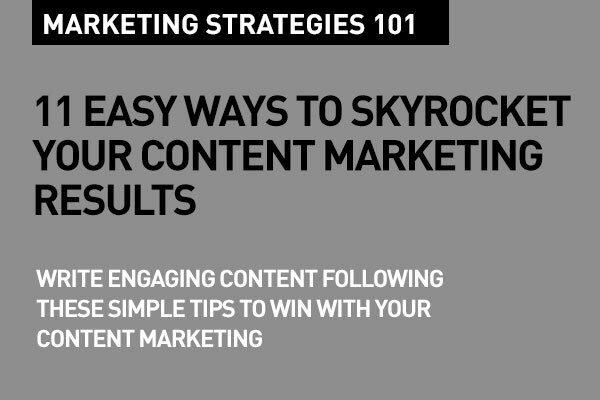 Show the audience what they'll get in return for reading your or engaging with your content. "7 Things you need to bullet proof your SEO" is better than "How to improve your SEO". Offering a value proposition is the way to engage. Research tells us that there are certain words that win over audiences in content. Google "power words for content marketing" and you'll find dozens of great articles on which power words to use. Use them appropriately and build these winning words and phrases into your content. Wors paint pictures, and certain words paint better pictures. Good writing for content marketing is about precision. Use exact numbers, use specifics, avoid being subtle and vague. Trust is based on being exact and avoiding generalities. Content marketing is after all about generating trust. Don't talk about "New ways to improve night photography". Write about "7 Simple Steps to Take those killer Night Shots". If your content expands on a great quote from someone most every one in your audience will identify with, use that as a reference point. We are socially programmed to defer to an authority figure and to trust their judgment more than someone else. You can take advantage of this persuasion principle by referencing authority figures in your writing. This can be either in the form of a quote, a testimonial, or a simple reference to an authority figure or publication. Jargon may show you off as some one in the know, but your audience will get turned off with too much, and with misplaced, over use of jargon. You can use jargon – and then simplify it for your audience, but don't use it to show off authority of topic. Have a clear call to action, particularly if your content is made for conversion. If you want readers to take some action – subscribe to a blog, watch a video, or sign up for a free trial – you’ll get the best results by being as clear and up front about it as possible. Be articulate in your CTAs – tell your audience in a simple way what you want the readers to do. Like, "Share this Post". While three out of four marketing professionals claim to be 'using' content marketing, way less than half of that number can vouch for the actual effectiveness of what it does for them. No matter how you plan, and what you aim for, you'll need to keep in mind that Customer Insights is your First Step in any form of Digital Marketing. Those are 11 easy ways to write winning content. That's the basics. That's part of Digital Marketing Strategy 101. 2016: Where is Content Marketing Headed? Noticed that every post on this blog has a "5m to Read" or "7m to Read" pointer at the beginning. Apparently, this is also a great way to grab and hold the attention of the target reader, because it mentions right up front, how much time commitment is needed to read the post, and whether it should be read right away, or saved for later. Top bloggers like Gary Vaynerchuk actually use this, as do all the posts on the Medium platform. Very useful post. This is a must read for anyone starting out with content marketing. Must add here what you have said in another useful post earlier, that you must really provide something of value. No matter how well you write content, it must be relevant and valuable for the consumer.